Start Time: Sunday 10th February 2019. Meet at 09.45 am for 10.00 am start. Start: We start the walk outside the Village Hall in Kirtlington (postcode OX5 3HJ). Parking is free. 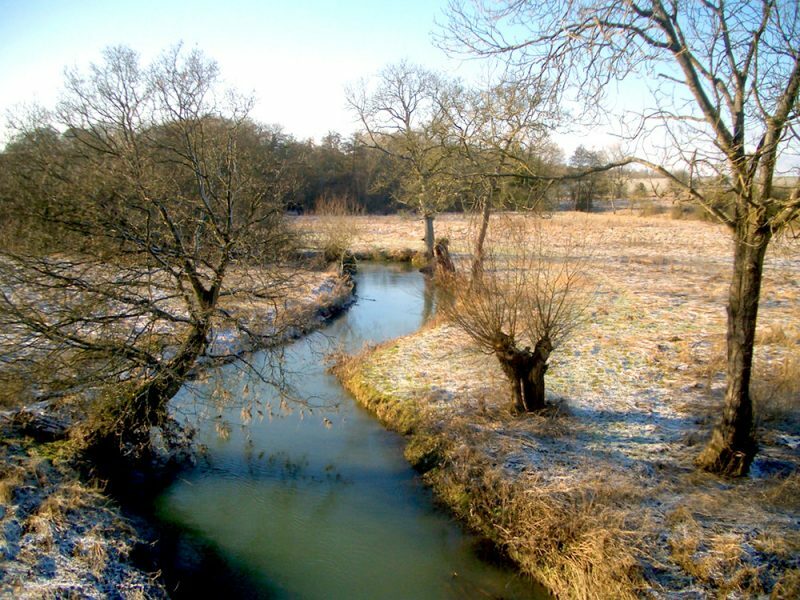 This is a delightful walk that passes through the Blenheim Estate, the pretty village of Stonesfield and some beautiful countryside with wonderful views. The walks is linear, but we will leave cars at Kirtlington and aim to start the walk at 10am. On completion of the walk, we will catch a local train from Charlbury to Hanborough. Leader Seamus Ryan will have a car in Hanborough and will coordinate with a local walker to meet the group and transfer back to Kirtlington to collect vehicles. The train options from Charlbury are either 14.32 or 15.29pm. The journey takes 7 minutes and the cost of £4.40. Please indicate as early as possible your intention to walk so that Seamus can coordinate the numbers etc. Difficulty: Moderate – 11 miles. A shorter walk option is available, starting from Woodstock at the Kings Arms Hotel, postcode OX20 1SU (circa 5.5 – 6 miles). For any further information please contact Walk Leader. Leader: Seamus Ryan – M: 07785 508804, E: seamus.ryan2@btinternet.com. Waypoints: Start – from the car park in Kirtlington follow the OW signs along Mill Lane to Pigeon Lock on the Oxford Canal. Continue along the Roman Road Akeman Street via Sturdy’s Castle to Sansoms Cottage and onward to the Green Gate into Blenheim Palace crossing the A44. FP through Blenheim Grounds and exit via Stonesfield Steps. Follow OW on to the village of Stonesfield via Bagg’s Bottom. Then follow OW via Hill Barn Farm Cottages and on to Charlbury town centre and the Bull Public House in Sheep Street – Finish. Getting there from Aylesbury – (Approx 23 miles): For SatNav postcode is OX5 3HJ. From Aylesbury head west following A41 towards Bicester. After approx. 17 miles, at the roundabout, take the 1st exit onto Oxford Rd/A41. After 0.3 miles – turn left onto Wendlebury Rd. After 0.5 miles – turn right. After 0.8 miles – turn left onto Green Ln. After 1.9 miles – continue straight onto Akeman St. After 1.9 miles – turn left onto Heyford Rd/A4095. After 0.5 miles – shortly after passing Primary School, and almost opposite the Dashwood Arms slight left onto South Green. Continue to find car park at back of Village Hall. Getting There from Oxford : (Approx 12 miles): For SatNav postcode is OX5 3HJ. From Oxford head out north on A34. Take the B4027 exit toward Bletchingdon/Islip/Heathfield. After 0.2 miles – turn right onto Islip Rd/B4027. Continue to follow B4027 and after 1.7 miles – turn right onto Springwell Hill. After 0.7 miles – continue onto Bletchingdon Rd. After 0.4 miles – turn right onto Oxford Rd/A4095. Continue to follow A4095, and shortly after passing Oxford Arms turn right into South Green and continue to car park at rear of Village Hall.